DENVER, CO – Day #3, Oct. 27 – Today, the World EAP Conference shifts from the Hyatt Regency to the Colorado Conference Center (next door). It is a challenge to decide which conference sessions to attend out of so many interesting subjects – but I decided to sit in on “Recovery 2.0: Effective Use of Interactive Technology in Substance Abuse Treatment,” by Emil Chiauzzi. The session provided a practical overview of the use of interactive technology, such as the Internet, and smartphones, in substance abuse treatment. That same afternoon, I attended the “World Update,” which this year featured the growing EAP market in China, and “Online Innovations for a New Generation of Clients,” by DeeAnna Nagel and Lyle Labardee. I noticed that there were more sessions this year related to technology – readers of both Employee Assistance Report (www.impact-publications.com – EARN link) and the Journal of Employee Assistance (JEA) (www.eapassn.org) can expect to see more articles about technology’s impact on the EAP profession this coming year. The EAPA website also has a great deal of additional information about the conference. Day #4, Oct. 28 – The day starts off with the EAPA Marketplace continental breakfast. The marketplace exhibitors offer a wealth of resource-related information for conference attendees. In addition to technology, the vast number of Iraq and Afghanistan soldiers returning to the workforce is having a significant impact on EAP, so it’s not surprising that there were a number of sessions relating to this topic as well. 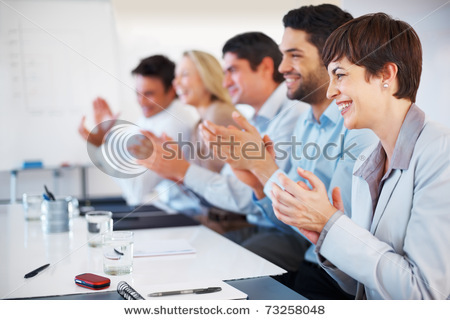 One of them was “Supporting Employment Success for Veterans and Other Employees with Disabilities” by Elena Carr and Michael Reardon. Note the: “and Other” part of this title, as the number of persons with disabilities is on the rise. In keeping with the technology focus, Weston Edwards presented a very interesting afternoon session on “Helping the EA Professional Address Cybersex.” ANY topic related to technology was well-attended – including this one. Day #5, Oct. 29 – Saturday’s conference highlight was a crucial issue forum, “Every EAP Purchaser’s Dream: Evidence-Based SBIRT Value” by Tracy McPherson and Eric Goplerud. The emerging importance of SBIRT was addressed in the 1st quarter 2011 JEA. On a personal note, my wife and I had great fun wrapping up our Denver stay by driving up into the incredibly scenic and majestic Rocky Mountains – as well as the famous Red Rocks Park and Ampitheatre, which has hosted concerts from everyone from the Beatles, to Bruce Springsteen and Willie Nelson. Oh, and I didn’t even mention that it SNOWED on Wednesday (26th). From fun and frolic, snow and sun, business and networking – “Reaching New Heights! The Unfolding Landscape of Employee Assistance,” EAPA’s Annual World EAP Conference in Denver, was truly an extremely memorable event! DENVER, CO – My wife and I arrived in the Mile High City for the annual World EAP Conference on Tuesday, Oct. 25. We wanted to arrive early so we could see some sights before the conference would begin in earnest later in the week. We both walked – and used the shuttle – to venture up and down the busy 16th Street Mall, with its interesting assortment of shops and restaurants. We also toured the Colorado capitol. A highlight to me was the extremely ornate, colorful murals and the like inside. 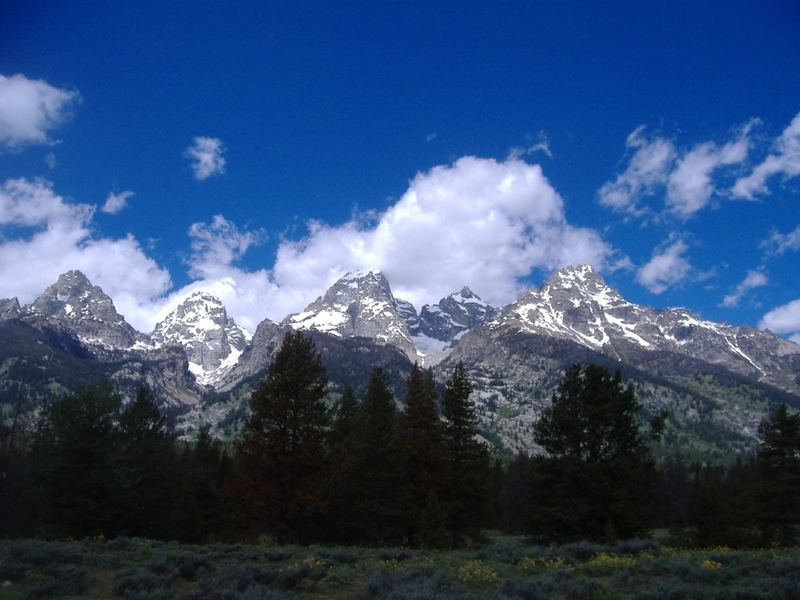 In addition, you could stand on a step EXACTLY one mile high and enjoy the Rocky Mountain view! Day #2 – Oct. 26 – The day began with a tour of the U.S. Mint, where 20 million coins are made each day! 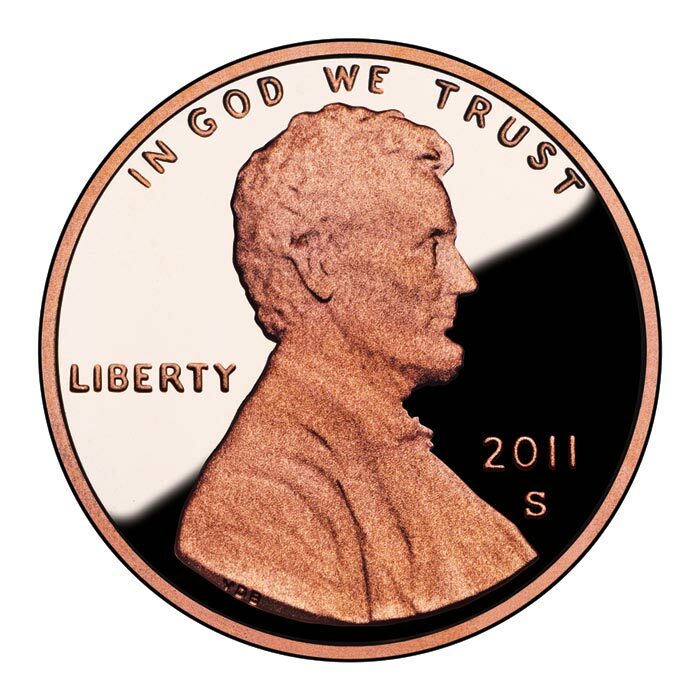 While the Mint loses money on small-denomination coins, like the penny, we were told that they make enough profit on larger-denomination coins to give a surplus back to the U.S. federal government each year. Later in the day, I attended the annual planning meeting for the Journal of Employee Assistance, a quarterly magazine that I edit (and Impact Publications, Inc. designs) for EAPA. (EAPA puts on the World EAP Conference each year – this year was EAPA”s 40th birthday!) The last event in the day was a “meet-and-greet” welcome reception for international attendees. It is truly a thrill for someone who hasn’t traveled a lot like myself to meet dedicated EA professionals from Hong Kong, India, and others. The day ended with dinner at the Bubba Gump Shrimp Co. restaurant. And that’s all I’ve got to say about that! I will be at the World EAP Conference in Denver the rest of the week – and hope to have some interesting comments to share about my experience when I get back. If you wish to find out more about it – go to www.eapassn.org and then one of the conference links from there. This is truly a WORLD event since it is a great opportunity to find out what’s going on in the EAP field not only in the U.S., but across the globe. Talk to you later. Are You or Your Clients ‘Tweeting in the Dark’? Ready to jump into the social media world? Great! But before you do, know that being a user of social media, and understanding its strategic applications for your PR, marketing, and communications initiatives, are two dramatically different skill sets. Mistake #1: Diving in without a strategic plan. Don’t start podcasting, blogging, tweeting, friending on Facebook, and posting YouTube videos until you know what your messages are, who will manage them, who your audience is, and how they and you are going to benefit from the content and relationships. Mistake #2: Not having a social media policy. Your social media policy needs to outline how employees behave in the online universe during and outside of work. It should include education on style preferences and confidentiality. All messaging coming from employees should be aligned with your company’s values and brand. Mistake #3: Failing to tailor the plan to your target audience. Hone in on sites, tools, and applications your target audience is using. Is your audience out walking in the park most afternoons, without so much as a cell phone? Or are they technology lovers who are never parted with their BlackBerry or iPhone? Research your target market to find out who they are and how to reach them. Mistake #4: Producing weak, unfocused, or unhelpful content. The same messaging rules that apply to classic public relations and branding apply to social media. Create strong, smart, well-thought-out content that adds value to your customers’ lives. Don’t waste their time with self-serving promo. Give them something they can use — tips, incentives, product information, new ideas, fun, and inspiration. Mistake #5: Allowing your social media efforts to stagnate. Gone are the days when companies could put up a website that sat on the screen like an electronic business card. Social media is about maintaining a dynamic conversation between you and your customers. Equip your content for the RSS-share-save-post-to revolution so it gets out there in multiple places. Answer blog, Flickr, and podcast posts; respond to tweets; engage “friends.” Remember: Social media, done right, is not a one-off campaign by a handful of staff; it’s a long-term corporate commitment. Sherrie A. Madia PhD is Director of Communications at the Wharton School, University of Pennsylvania, and the co-author of The Social Media Survival Guide: Everything You Need to Know to Grow Your Business Exponentially with Social Media (Second Edition). Find out more about her and the book at www.SocialMediaCentral.com. Disability Employment Awareness Month – Is it a Good Idea? Supported employment professionals are well aware that October is National Disability Employment Awareness Month (NDEAM). But is this observance a good idea? PRO — A bit of history: NDEAM’s roots go back to 1945, when Congress enacted a law declaring the first week in October each year “National Employ the Physically Handicapped Week.” In 1962, the word “physically” was removed to acknowledge the employment needs and contributions of individuals with all types of disabilities. In 1988, Congress expanded the week to a month and changed the name to “National Disability Employment Awareness Month.” In 2001, the Office of Disability Employment Policy (ODEP) www.dol.gov/odep assumed responsibility for NDEAM and has worked to expand its reach and scope ever since. 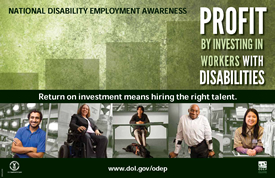 Part of ODEP’s efforts include coming up with a theme – which this year is Profit by Investing in Workers with Disabilities – and a poster to aid in promotional efforts. (See the graphic at upper left). What do YOU think? Is this observance a good idea – and does it work? Or, does NDEAM patronize persons with disabilities? Or perhaps the truth is something in between? Comments are welcome. Is prescription drug abuse a problem among the employees of your corporate clients? What about children? Foster kids? If it isn’t a problem as yet, this issue may, unfortunately surface in the near future – given the fact that the prescription drug abuse epidemic is resulting in some stark statistics. According to government data, drug overdose has overtaken auto crashes as the nation’s leading cause of accidental death. “This is the first time that drugs have killed more people than car wrecks since the government began tracking drug-related fatalities in 1979,” as written by Maia Szalavitz for Time Heartland. 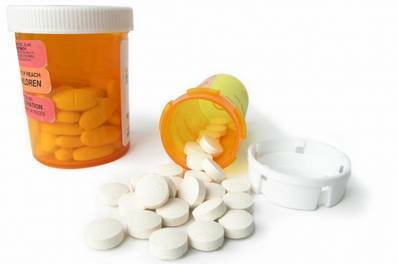 A consistent rise in prescription drug abuse has resulted in an overall increase in overdoses. As Szalavitz writes, deaths involving painkillers have more than tripled between 1999 and 2006. Additionally, the drug death rate rose 63 percent between 1999 and 2004, and another 27 percent between 2007 and 2009. Prescription drug abuse also carries other grim repercussions. Research indicates that accidental poisonings of children have increased. The research on child poisonings illustrates yet another dangerous side effect of prescription drug abuse. Politicians, government organizations and law enforcement agencies are continuing to crack down on the various causes and sources of prescription drug abuse, including in Florida, which has one of the nation’s higher rates of abuse and drug availability. Getting noticed and separating your company from the rest of the pack is a common problem for employee assistance programs. EAPs that succeed have a sharp focus on their customers, and leverage all of the many channels available to attract business. You can create a marketing plan by following some critical steps. Part one of this article outlined three of them; we will examine the remainder in this article. * Implement the marketing program. It is not enough to depend on one newspaper advertisement or mailer. You must tell people about your product creatively using different methods frequently before they gain awareness of your product or service. There are many different options and some of them are even free. Email blasts, blogs, Facebook, direct mail pieces, and cold calls are all examples of relatively low-cost ways to reach your audience. * Follow-up calls. One of the best ways to gain business is to simply follow-up with a contact with a phone call and an email. If you met someone at a trade show or networking event, add him or her to your distribution list and reach out to this individual within a few days after meeting. * Tracking and reporting. The great thing about developing a yearlong marketing plan is that you can track your results and make adjustments as needed. Be sure to ask new people how they found out about you. Create a spreadsheet so you can track which methods are working. Summary — Marketing isn’t an exact science. What works for one company may not work for another, but planning ahead and tracking your methodology will help you get ahead of the competition. Avoid making marketing decisions based on desperation or emotion by developing a program based on your customers’ needs and a long-term plan. Shelley Plemons has more than 25 years’ experience in the behavioral health industry. During that time she worked for several successful companies such as Charter Medical, MHN and Life Care. She founded Strategic Sales Solutions in 2003, and assists clients with strategy and training. Her website is: www.strategicsalessolutions.com. Author’s note: Shelley’s column appears monthly in Employee Assistance Report, available from Impact Publications, Inc. (“EARN” link at www.impact-publications.com). * October 6, 2011 at 2 p.m. – 3 p.m. EST – Lynnae Ruttledge, Rehabilitation Services Administration Commissioner, will discuss partnering to increase employment opportunities for individuals with disabilities. * October 31, 2011 at 1 p.m. – 2 p.m. EST – Wendy Parent, Research Associate Professor and Assistant Director, Kansas University Center on Developmental Disabilities, will discuss Employment First: Moving from Policy to Practice. The webinar fee is $50 for APSE members and $100 for non-members. Register online at www.apse.org or email jenny@apse.org for more information. The Employee Assistance Research Foundation (EARF) has announced preliminary plans for its 2011 call for research grant proposals, the organization’s second grant cycle. This year’s proposals will focus on workplace-related outcomes of EAP. Applicants have until November 30, 2011 to submit their brief proposals. There are two stages in the proposal process: the submission of a brief proposal and, for those approved for the second stage, a full proposal that may lead to an offer of a grant award. Grants will be reviewed by a committee consisting of Foundation board members, which includes distinguished researchers and clinicians. In 2010 the Foundation issued its first call for proposals, focusing on the state of the EAP field. In May 2011 the Foundation awarded one-year grants of $40,000 to two organizations to support their research. The Foundation will accept applications from organizations such as tax-exempt educational institutions, agencies, or for-profit business entities (such as an LLC) that have access to an Institutional Review Board. The process is also open to applicant organizations from countries outside the US or Canada engaged in EAP research.